Home Hardware is celebrating 150 years with a giveaway! Here is your chance to win 1 of 10 Canada 150 Tulip Bulb Packs! Each pack contains 25 bulbs to plant! Click on the link below and write a comment with an answer to this question: "When planting tulips, what percentage of sand should be mixed in with soil to improve drainage? 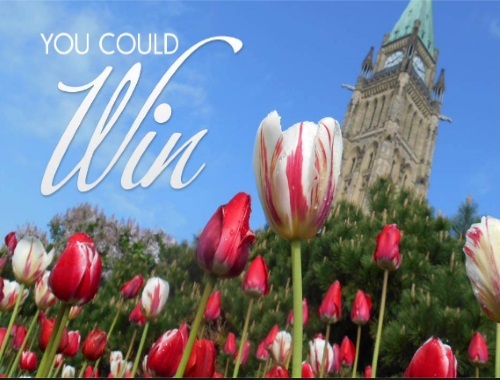 Comment below for your chance to win 1 of 10 Canada 150 Tulip 25 Bulb Packs!" More info is at the link. Contest closes October 22, 2016. Limit one entry per person, Quebec is excluded.